While it’s widely believed Valentine’s Day was invented by the card companies, it actually was popularized by candy companies in the twenties. Surprisingly, our list of fantastic gifts for people you pretend to love has only a few sweet treats. We do have plenty of sour presents to offer though. Whatever the problem in your relationship, one of these gifts is sure to express your true feelings for your significant other. No woman wants to look older than she has to, so why not help keep her looking young with this Wrinkle Reducing Pillow? Oh yeah... because it's a nice way of telling her you're worried she's starting to look old and you don't want to be caught married to a wrinkly old bat. Valentine's Day should focus on your love of her, not her sagging looks. What's more romantic than making love in front of the fire? Not much, too bad this isn't a real fire. Unless your girlfriend is the type of woman that belongs in movies like House Bunny or Legally Blonde, she won't be impressed with this Replica Fake Fire. 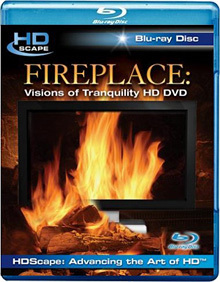 I know HD is great, but it still isn't going to keep you warm at night and neither will any woman you buy this for. If your lady's been on your case about taking your relationship to the next level, she's going to flip when you present her with a big box with a huge ring in it. 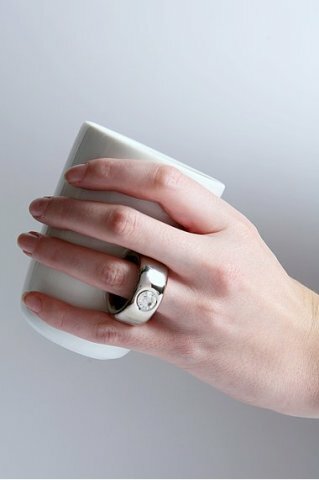 That is, until she realizes it's merely a Fake Engagement Ring Mug. At least it has a real Swarovski crystal in the ring part so she can pretend like you care about her. Every time she takes a drink, she can be reminded of the ring she doesn't have. We get it ok? Real men don't cuddle. But Valentine's is the one day where big tough guys pretend like they actually have a romantic streak and care about their ladies. So, getting her a Boyfriend Pillow she can cuddle with the rest of the year, isn't going to go over well. All you'll end up doing is reminding her why you're a rotten tool the other 364 days a year. If you're going to pretend to be a romantic today, at least keep up the charade until tomorrow. When she asks herself why she's still with you, it helps to have at least one full day of romance to trick her into believing you're worth her time. 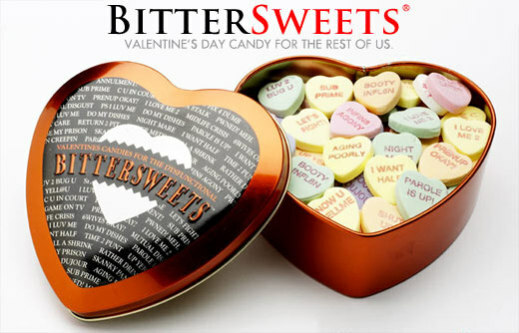 If you just can't come up with the right words to express your mediocre relationship, the Dysfunctional line of BitterSweets may have just what you're looking for. 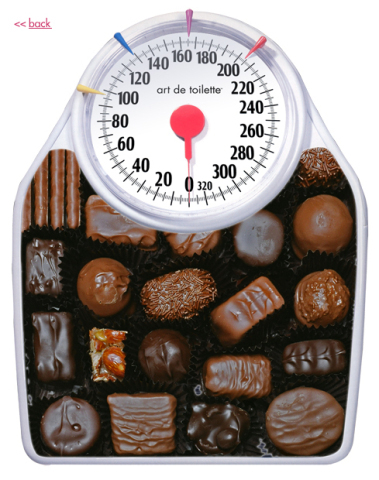 When you want to tell your loved one that you want a prenup or that they haven't been aging well, just look for the appropriate Heart Candy in the tin and present it to your future ex. Who would have thought simultaneous love and hate could be so easy? Halitosis is so not hot. If your loved one already has bad breath though, chances are you don't need to remind them. 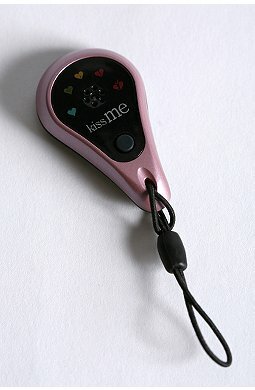 The Halitosis Kiss-O-Meter is a great way to remind your lover why you never kiss them. I will say that at least the gift looks cute, but that's a small consideration when prejudging the taste of your kisses. Valentine's Gift #8: For Ones Always Wanting Something "Different"
Perhaps a dead animal's body parts aren't enough to show your commitment. 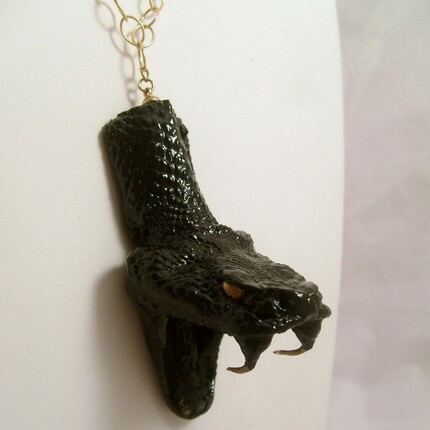 If that's the case, you may want to consider getting Jewelry Made From Your Own Bones. All you need to do is provide them a bone sample -a small sacrifice compared to the love you feel, right? 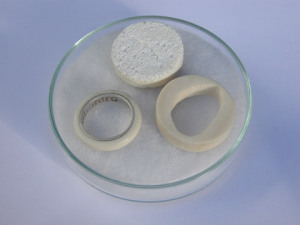 They simply will grow another bone using your tissue and then carve and shape it into a ring. Surely if Van Gogh can part with an ear, you can part with a teeny, tiny tooth. So I hope that in this collection of gifts that have taken alot of thought, you will find something perfectly awful for your not-so-wonderful lover. Judging from that picture, you will. The bone ring is kind of neat, but then I'm kind of a morbid person. that boyfriend pillow is the creepiest thing i've seen. i think what makes it even more creepy is the woman alone in her bed with just the arm around her. ewww. I actually want that mug!! Some of those are great! The toilet is a classic Saturday Night Live ad parody from ... oh maybe 15 years ago... "The Love Toilet..."
What makes someone even consider making flowers from elephant feces? THE BEST WAY TO PISS SOMEONE OFF IS TO GET THEM NOTHING.